I have included some "Royal Yacht" items, which in this case relate to an earlier period, (1913 & 1925) but this ware appears to have been produced on an ongoing basis. I suspect that it would also be rather easy to replicate to deceive. More research is required in respect of what was ordered and when. George VI and Queen Elizabeth Coronation items. The mugs were made in three sizes. The small and medium size versions are shown above. One of a pair of small trays produced to celebrate the Royal Couple's visit to Canada 1939. "The 1939 royal tour of Canada by King George VI and Queen Elizabeth was undertaken in the build-up to World War II as a way to emphasise the independence of the Dominion from Britain. The visit lasted from May 17 to June 15, covering every Canadian Province, the Dominion of Newfoundland, and a few days in the United States (see below). There had been previous royal tours of Canada, but this was unprecedented in its scope. The tour was an enormous event, attracting huge crowds at each new city. The king and queen arrived by ship in Quebec City and travelled west by rail, accompanied throughout their journey by Canadian Prime Minister Mackensie King. The party visited most of the major cities, finally arriving in Vancouver. Then they travelled through the United States. The tour ended with a visit to the Maritimes and Newfoundland, departing from Halifax. 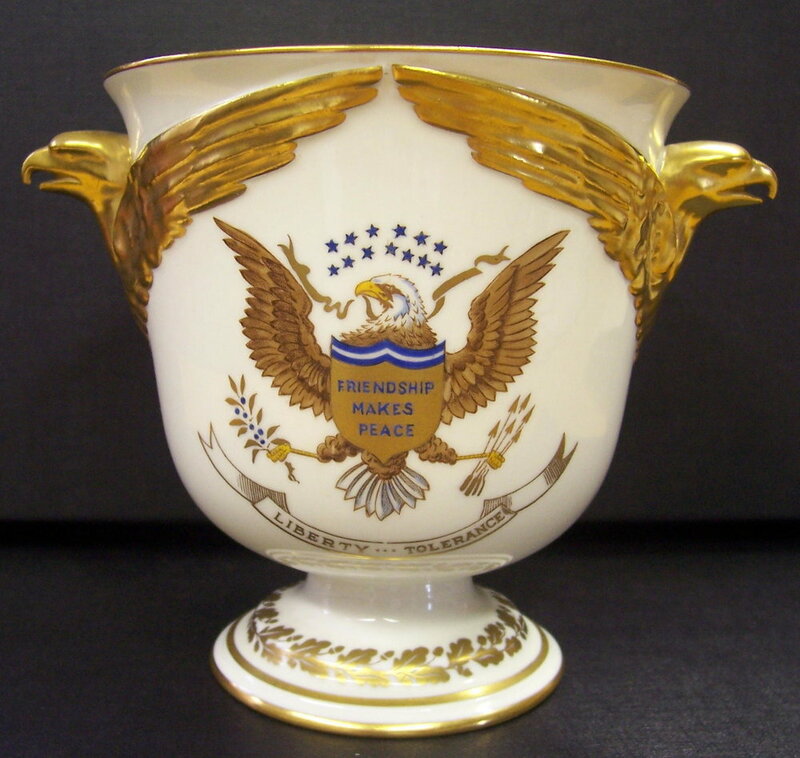 A vase, shape number 1934, part of a limited edition of 3000 made to commemorate the Royal visit to the US in 1939 (June 7th-12th). Neville Chamberlain was to announce the outbreak of war with Germany on the 3rd September the same year. 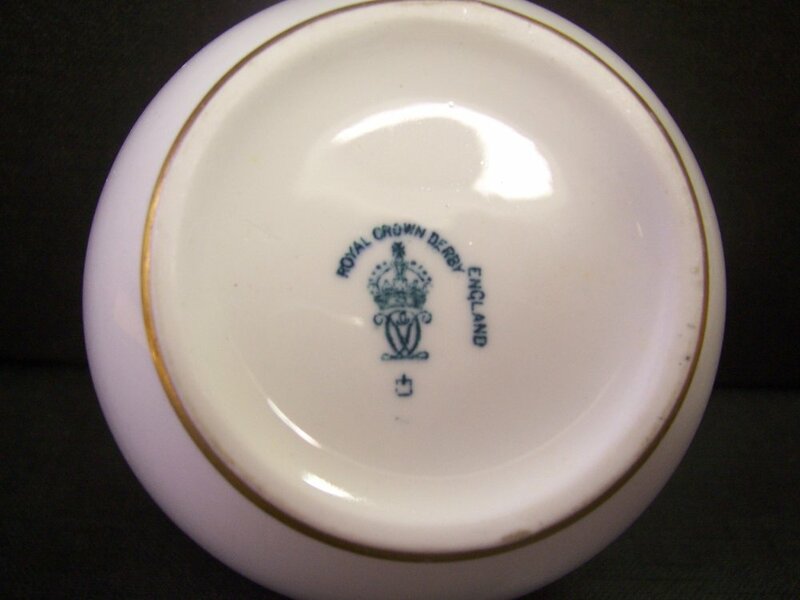 Soup bowl in the Ely shape in a version of the Diana pattern but with an usual "George VI" backstamp for 1949. I can't find any reference to a special royal service for this date, but further research is required. Coronation plaque being one of a limited edition of only 25 painted by Douglas Hague and sold at 150 guineas each. It is believed that only 18 were actually completed. 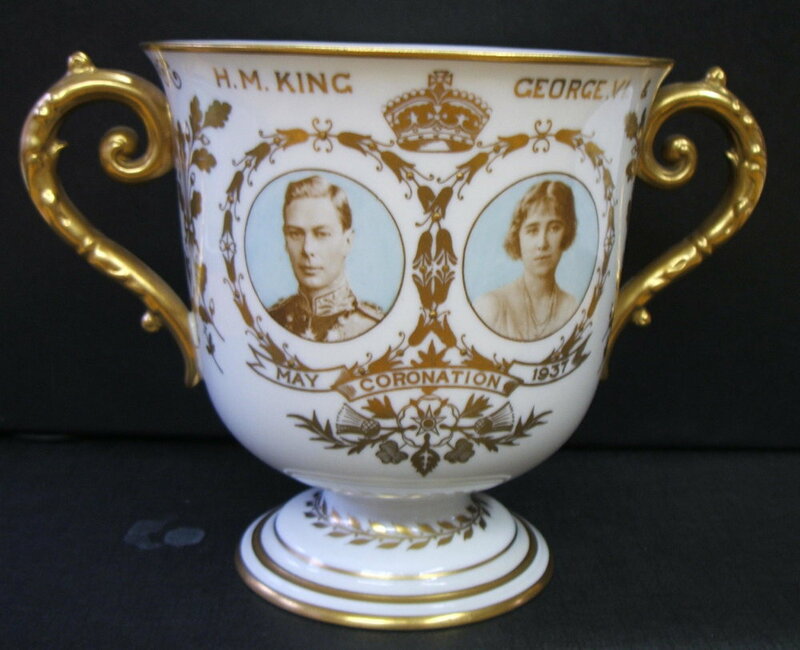 A Coronation loving cup, part of a limited edition of 250. 60,000 of these Coronation dishes are reported to have been made. A tray produced to commemorate the Queen's visit to Canada in 1957. Coronation Mug in the Surrey Shape. Ungilt. Probably a piece of white ware decorated by others as the litho is not correctly positioned relative to the handle and the piece is badly fired with part of the crown missing. I can't find any reference to this. More research is required.